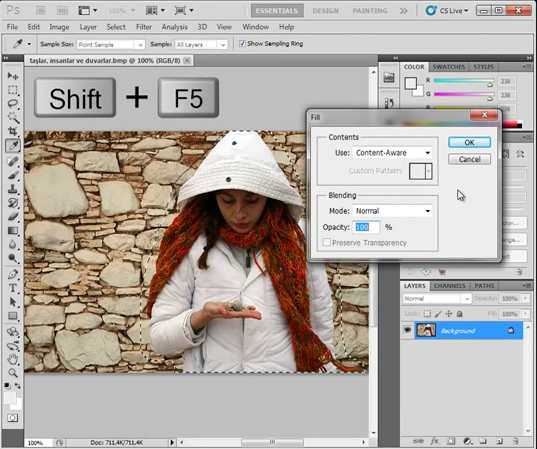 Right click on the color adjustment layer (top of the desired layer). If you don’t do it, the color adjustment is applied to all layers below. Background must be top layer.